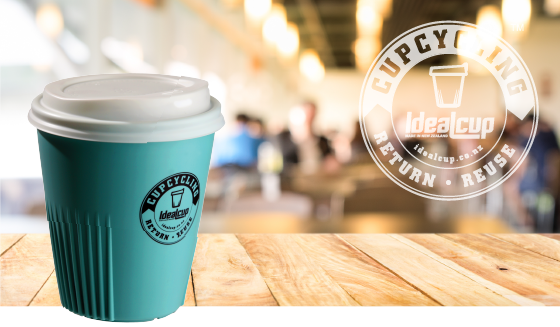 There’s so much exciting stuff happening at IdealCup, where do I begin! Let’s start with the exciting action happening with CupCycling around NZ and in Canada! Yep, word’s got out that little ‘ol NZ is punching above its weight and CupCycling is the way of the future. Our wonderful new friends in Prince George, British Colombia, Canada, have placed their first order for several cafes joining the “Perk Up Prince George” CupCycling movement. There’s more news to come on the Canada front… so watch this space! Here at home base, we’re beyond excited the wonderful peeps from Keep it Green Cromwell have rallied up the retailers and we have CupCycling rolling out in Cromwell in less than a week! Love Titirangi in Auckland is next, with CupCycling kicking off there very, very soon. The folks from Upper Hutt didn’t want to miss out either… and we’re working with the council and retailers towards an Upper Hutt City wide rollout of CupCycling very soon! So much happening, with many more regions contacting us everyday! Tumeke! You can read more about CupCycling by clicking on the dedicated link on our website.